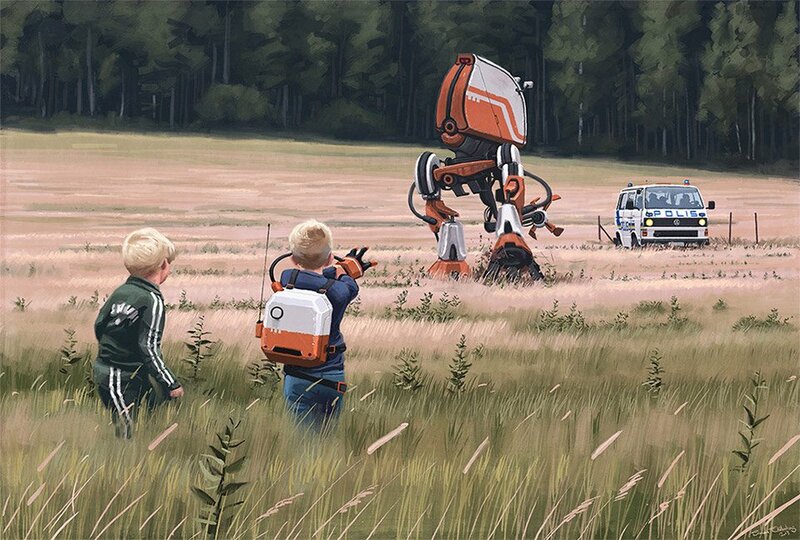 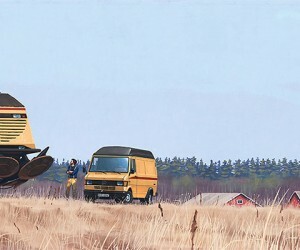 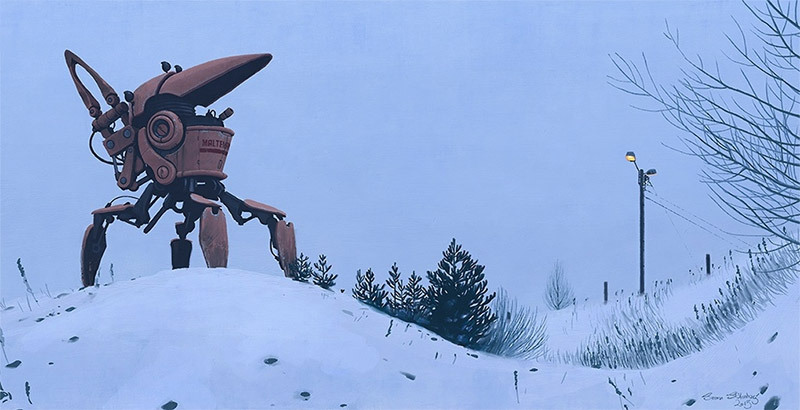 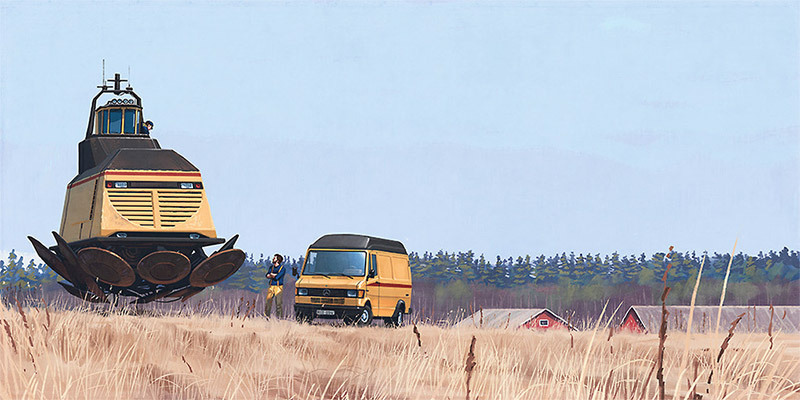 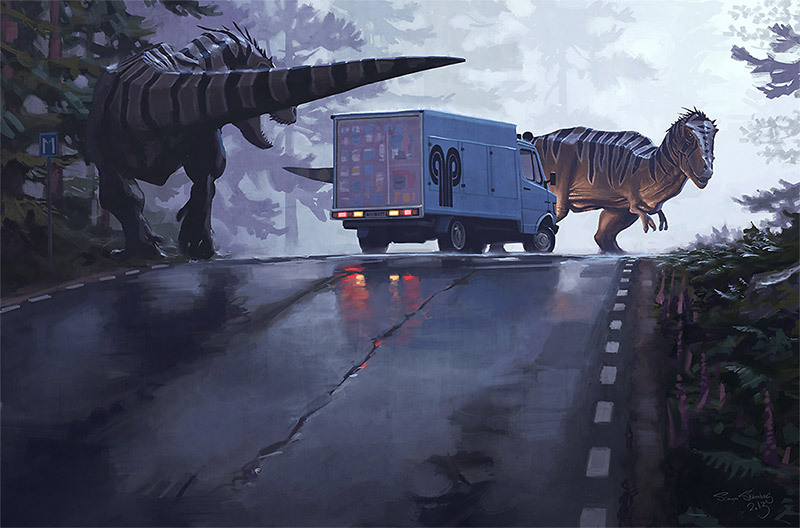 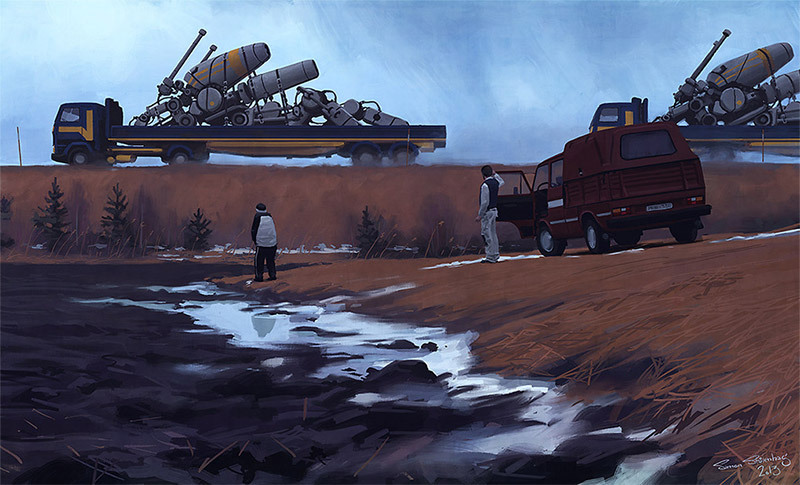 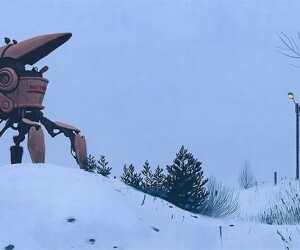 Swedish artist Simon Stålenhag created these amazing digital paintings of suburban landscapes with giant mech robots, dinosaurs and other creatures from science fiction, some functional and some past their useful life, roaming the landscape. 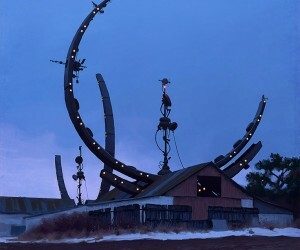 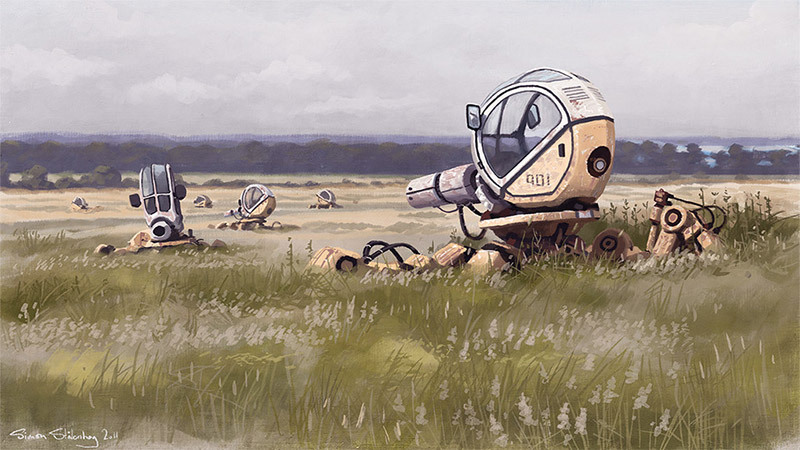 It’s fantastic to imagine walking through a landscape with a burned out mech robot rusting in a field. 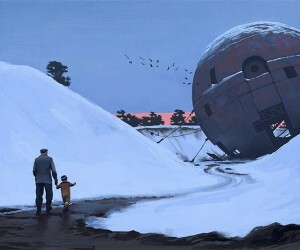 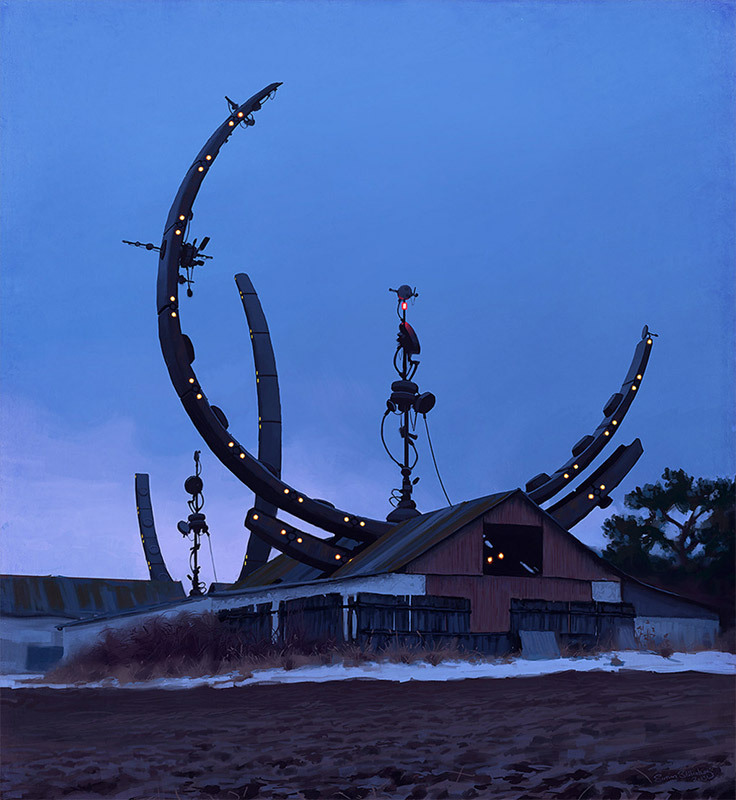 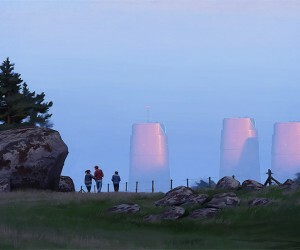 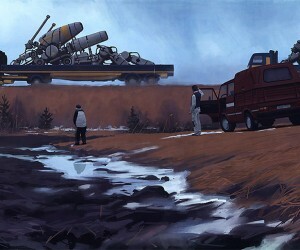 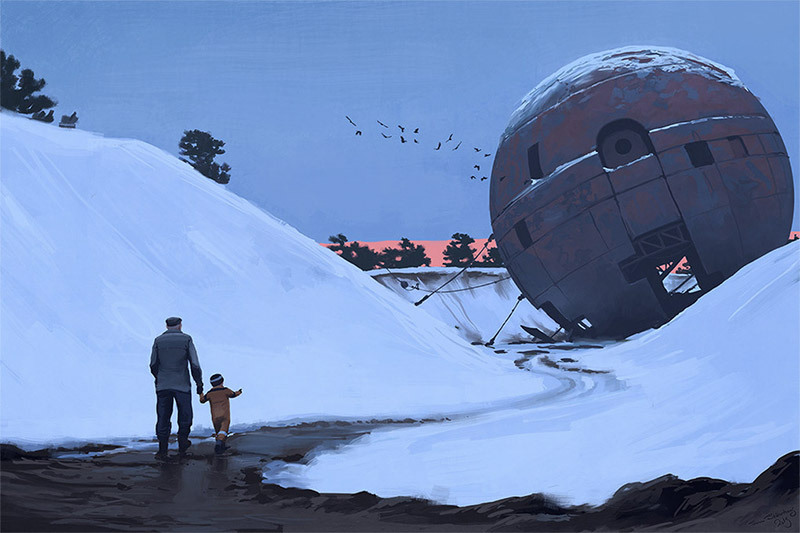 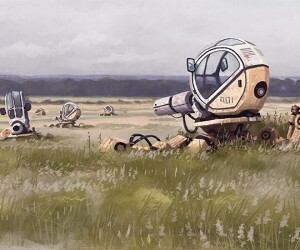 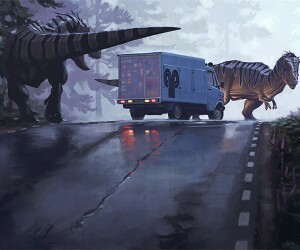 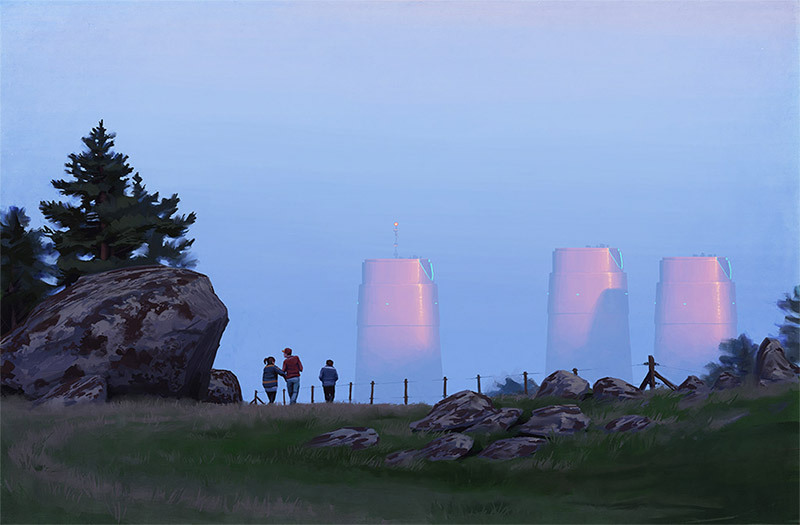 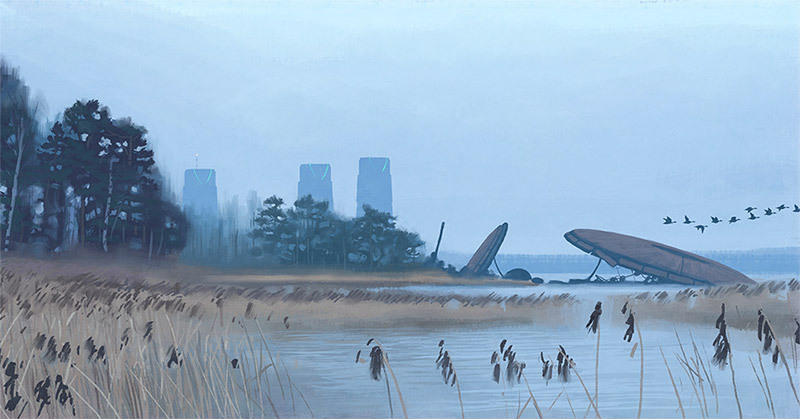 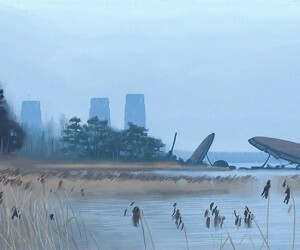 You can purchase prints of many of the pieces on Stålenhag’s RedBubble site.